The idea for this Guide was sparked by conversations among Gila Valley residents, Cooperative Extension agents, and County officials about what activities or modifications are legally allowable on land adjacent to the Gila River. 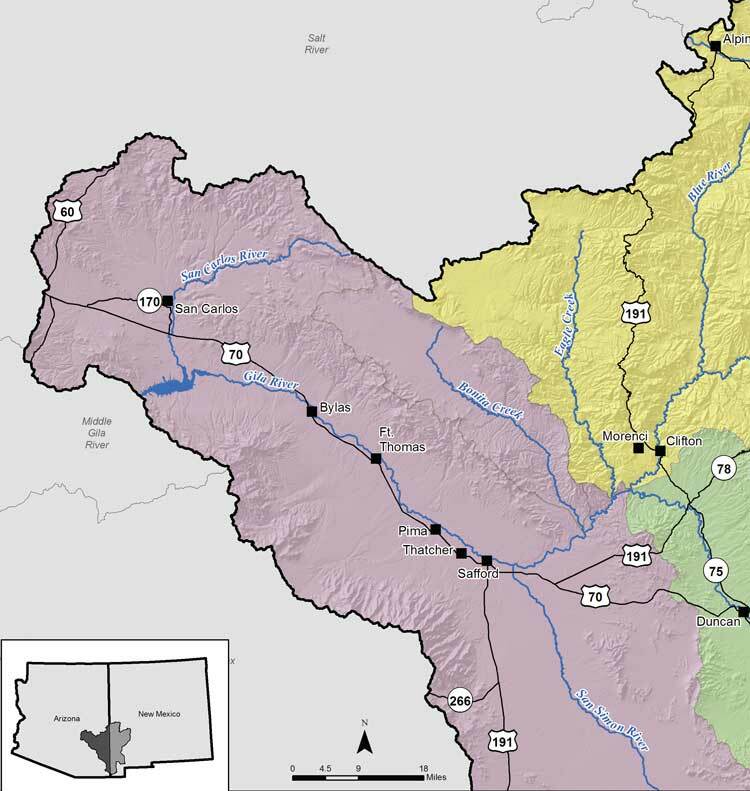 With simple answers to realistic questions, A Guide for Landowners on the Upper Gila River addresses these common misunderstandings. In addition to materials previously published by the University of Arizona Water Resources Research Center, the content of this Guide was informed by interviews with Cooperative Extension agents, federal and local government officials, irrigation district representatives, and active members of the farming and ranching community. This Guide focuses on the privately-owned “riparian area” along the Upper Gila River corridor in Arizona - specifically, those lands encompassing or adjacent to the river channel (generally between a football field length and width on either side). The following pages give answers about if and how you can make alterations to your privately held land, and what actions are necessary to proceed. Each page answers a different question: "Can I _______ on my land?" For each question, contact information is provided to help you quickly get answers to what next steps or approvals, if any, are needed. Who Owns the Gila Riverbed? Do I Have Critical Habitat on My Land?